Published: March 31, 2019 09:25 Mohammad El Jachi, Special to tabloid! Soprana and lecturer of music Clare Lesser, pianist and adjunct instructor of music David Lesser, and cellist Laura Chapple will perform four world premieres. According to the trio, all works were written specially for them, including songs by British producer Mark Taylor and Michael Finnissy. 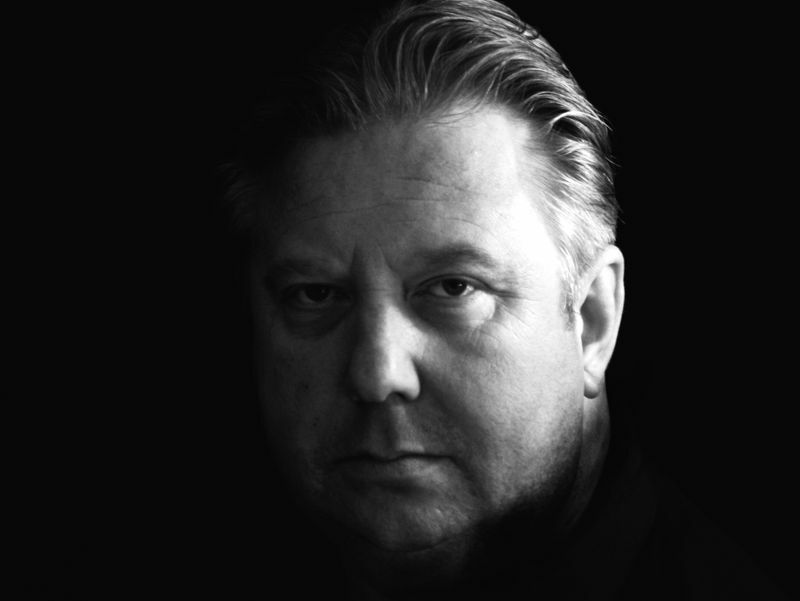 The trio’s performance of Finnissy’s ‘Caithness with Descants’ reflects Clare’s career-long devotion to his work, after she first performed his music in the 90s. “He writes exceptionally well for my voice, and I’m always happy to dedicate time to mastering the considerable technical challenges his work demands,” said Clare. Portuguese electronic musician Joao Menezes and Dutch jazz musician Jesse Boere have worked closely together for more than three years at NYUAD as music instructors. The audio-visual performance ‘Sound Dis/placed’ marks their first collaboration. With two vastly different musical backgrounds, they rose to the challenge and came out with a singular performance art piece. 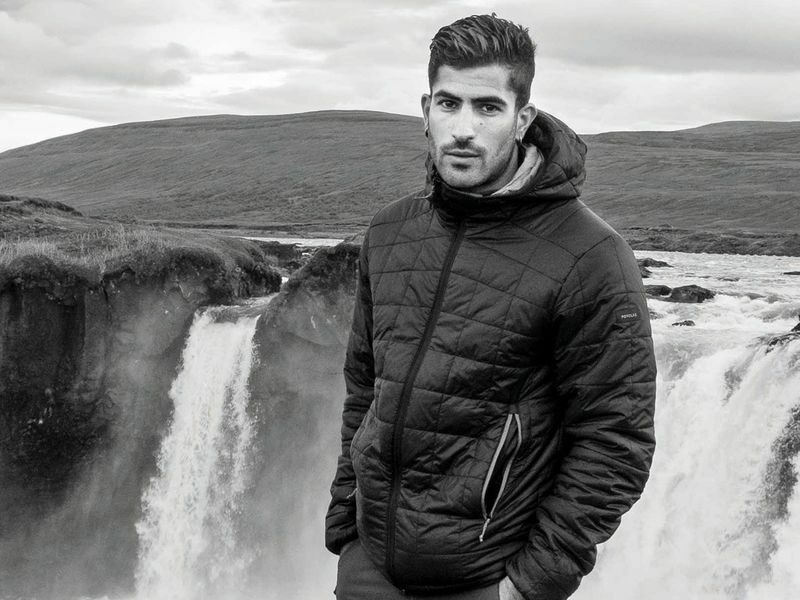 One of their pieces include aerial footage from Iceland, which is amplified with sound and music. Menezes and Boere compare the performance to a short film that pulls the viewer out of time and onto a sensorial journey. The sounds are produced acoustically with a piano and vocally (both at times altered), analogically through electrical signals, and digitally with virtual instruments and controllers. “In turn, all sound affects the video you see in real-time — it changes colours, it distorts shapes, it darkens it, to give a few examples. This way everything can be serene and feel in place, or everything can feel completely displaced,” said Menezes and Boere. 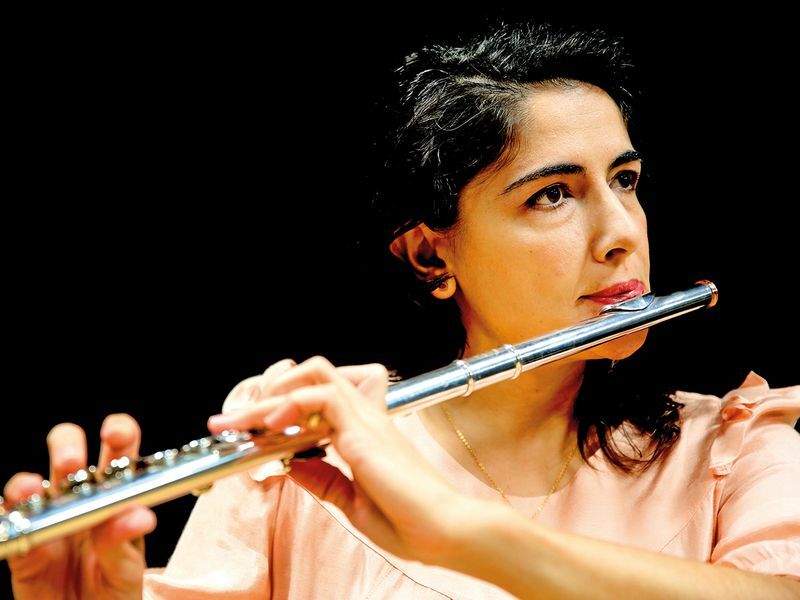 Cristina Loan is a Romanian flutist and adjunct professor of music and flute at NYUAD. 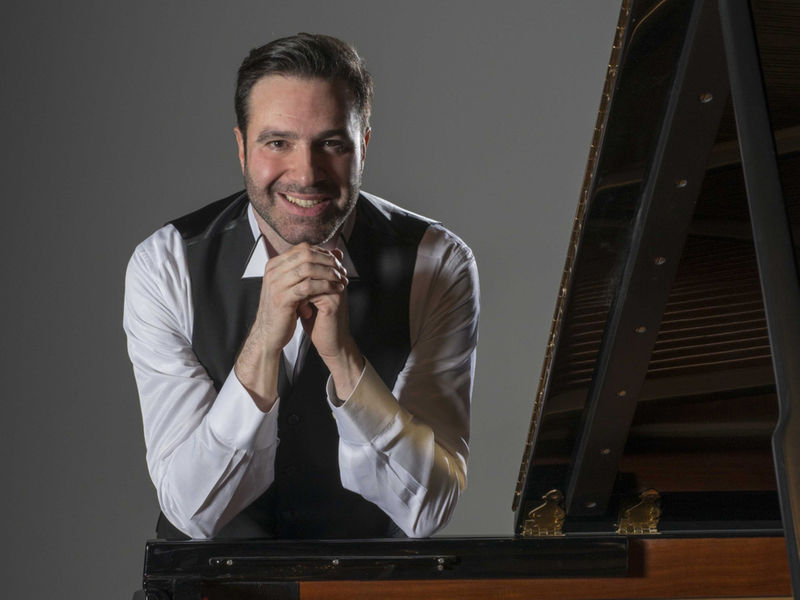 Ioannis Potamousi is a pianist and piano instructor at NYUAD who has performed in the UAE and his native Greece. 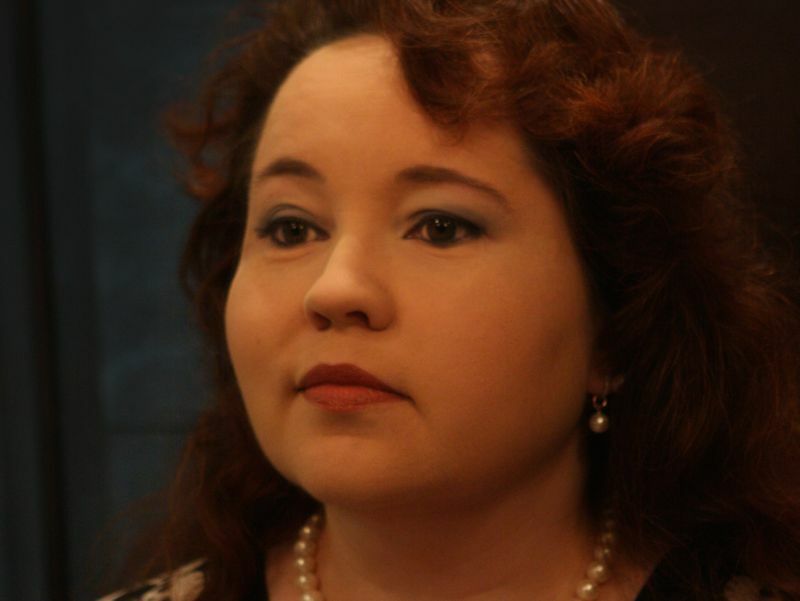 The two present an evening of music written almost exclusively for the flute and piano. Loan and Potamousi have lived in Abu Dhabi for six and eight years respectively, and find it to be a very open and fertile environment that bolsters their work. 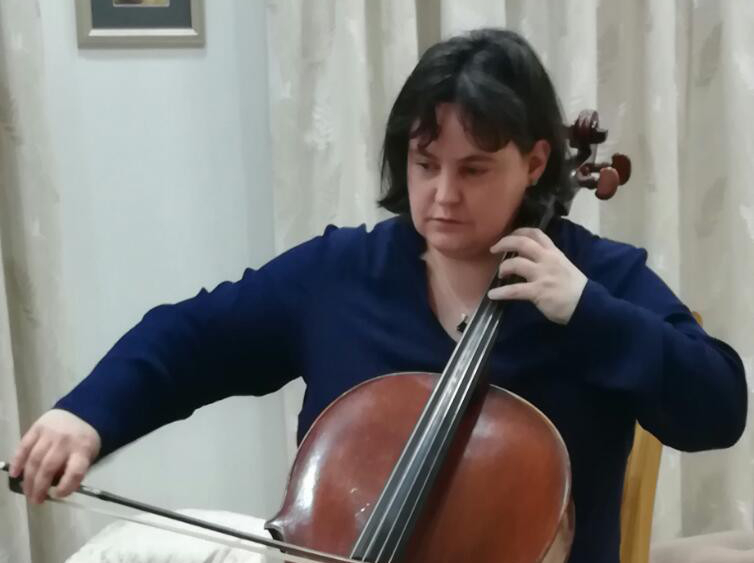 Potamousi, who has performed extensively in Abu Dhabi, says there is a growing interest in producing classical compositions both in and out of NYU. Their performance will include two pieces written by established composers and Abu Dhabi residents: Matthew Quayle and Leontios Hadjileontiadis. 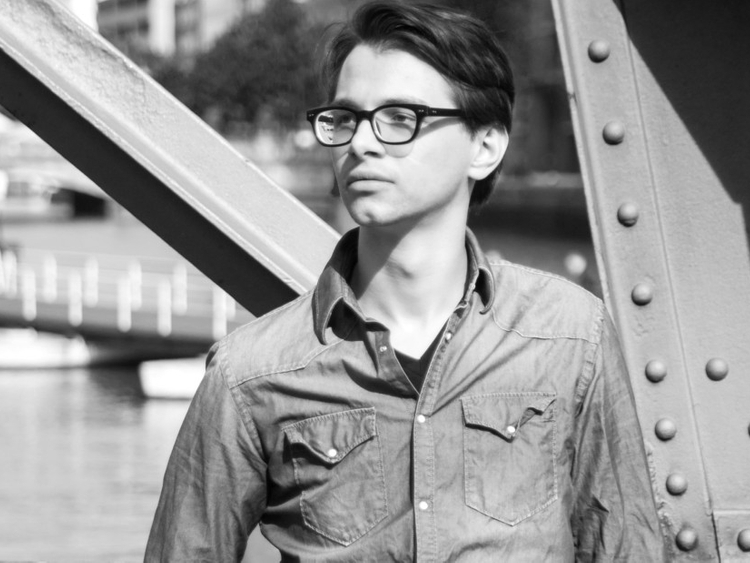 Another piece was written for Sloan by a young NYUAD alumnus and composer Cristobal MarYan. “His piece is inspired by a Rhythmic mode [Iqa’] from the Arabic classical genre, called ‘Dharafat’ and at the same time it also recalls the Mexican folk music “Son Huasteco,” said Loan. Potamousi also worked alongside a composer from the Khalifa University faculty, Hadjileontiadis, on his piano solo piece ‘(Con) Sequences’. Hadjileontiadis helped him work through various unusual notations, which helped him transform the piano into a percussion instrument. “So you see, I am a Romanian flutist, Ioannis is a Greek pianist and we are playing a variety of pieces, both “old” and “new” written by composers from all parts of the world, some of them are “written” in history and some are still making history,” said Loan. Entry to Manifold is free, but online reservation is required on NYAD’s website.